A new genus and associated species of false vampire, family Megadermatidae, are described based on three specimens from Bala Forest, Narathiwat Province, peninsular Thailand. 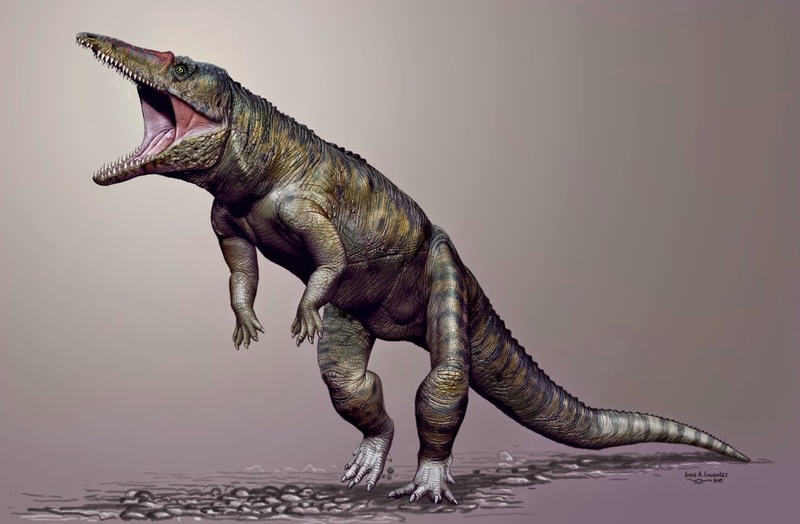 The new taxon is characterised by a unique combination of distinctive dental, cranial, and external characters, some of which are shared with exclusively African genera and some with Asian genera. These characters are comparable to, or exceed in number, those differentiating currently recognised genera in the family Megadermatidae. They include the absence of a first upper premolar; greatly enlarged upper canine without an anterolingual cingular cusp but with a robust posterolingual cusp; unmodified upper first molar with the preparacrista subequal in length to the postmetacrista, the metastyle not reduced and situated labially; robust lower canine without an anterolingual cusp; the first lower premolar enlarged, equal to or larger than the second lower premolar. 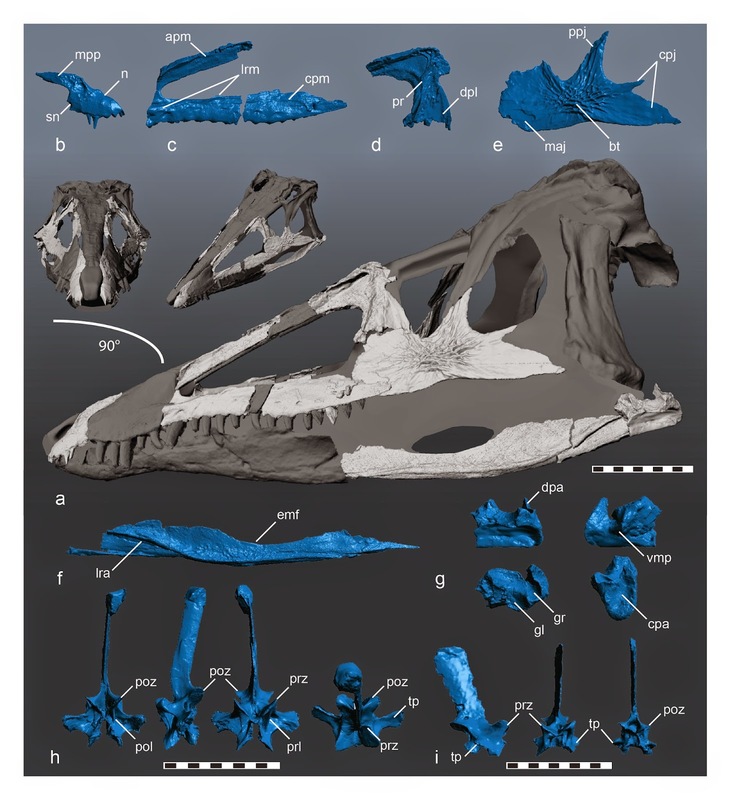 In the skull, there is a pronounced rostral depression but no well developed frontal shield with preorbital and/or postorbital processes; the coronoid process is greatly enlarged in each half mandible. Externally, the body size is relatively large and the posterior noseleaf is rounded. The baculum has a robust shaft and two short prongs—the bacula of all five other species of megadermatid are illustrated for the first time; extraordinarily, those of Macroderma gigas and Megaderma lyra comprise two separate bones. DNA barcoding indicate a genetic divergence of about 20 percent (sequence divergence in the mitochondrial gene CO1) between the new genus and species of Megaderma and Cardioderma. Currently, despite numerous bat surveys in peninsular Thailand, the new genus is only known from Bala Forest. The small area of this forest and the very low capture rate suggest that the new species may be extremely rare. Its natural history is little known, although its robust dental and cranial features when coupled with chance observations of its feeding behaviour, suggest it may specialise in eating large beetles. Its conservation status is considered to be at risk owing to the rapid loss of forest habitat in much of the Thai-Malay peninsula. Type species. Eudiscoderma thongareeae sp. nov.
Etymology. The genus name is derived from the well-defined disc-shaped noseleaf of the type species. The genus gender is neuter. Etymology. 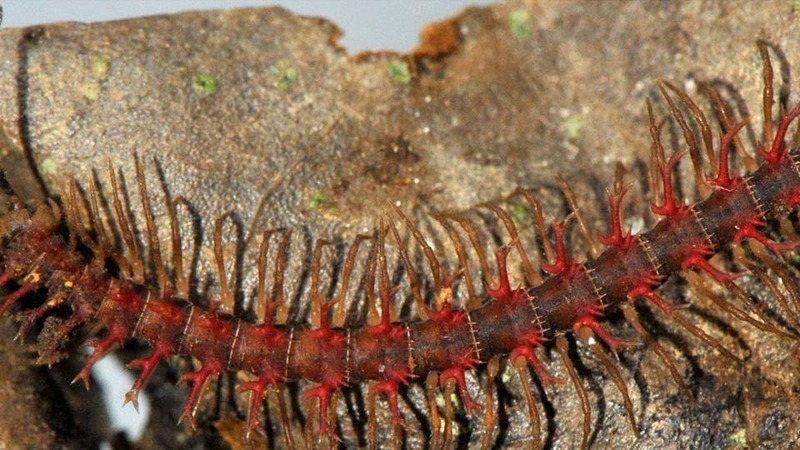 The species thongareeae is named in honour of Ms Siriporn Thongaree, the former head of Halabala Wildlife Research Station [HalaBalaWRS], who dedicated her life to researching the diversity and ecology of wildlife in the southernmost part of Thailand and to promoting its conservation. The proposed English name is “Thongaree’s Disc-nosed Bat”. The relationship of M. spasma and M. lyra remains unresolved. Genetic data included here (Fig. 11), the extraordinary differences in the baculum (Fig. 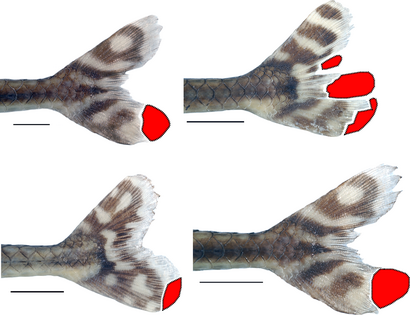 9), and differences in the dentition and skull support the view that M. lyra is generically discrete from M. spasma. However, in view of the contradictory interpretations presented by Hand (1985) and Griffiths et al. (1992), discussed above, and the weak bootstrap support for the deeper branches in our phylogeny (Fig. 11), we prefer to leave this particular issue for a further study. 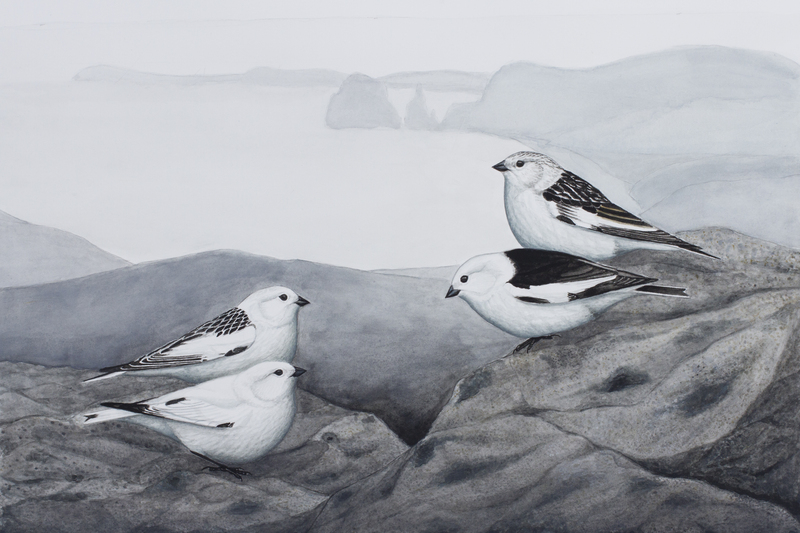 Additional genetic data, incorporating nuclear genes with slower evolutionary change, may help to resolve the phylogeny. 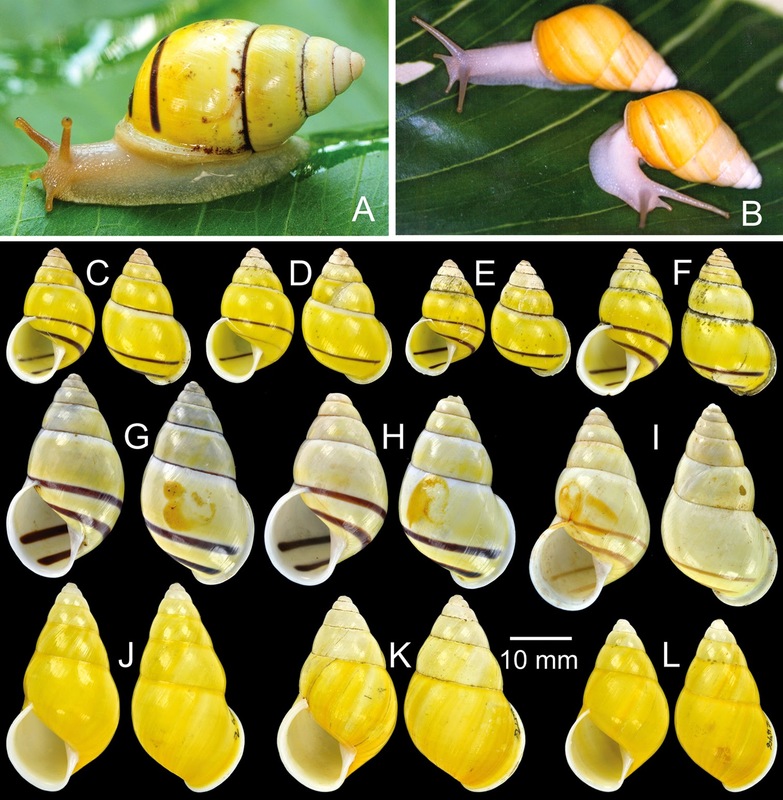 On the basis of data presented here, it is not possible to place the newly discovered megadermatid from peninsular Thailand into any one of the five previously recognised genera, including the sympatric Megaderma. As noted above, it has a unique combination of characters, incorporating features, some of which are found exclusively in African genera and others in Asian genera. 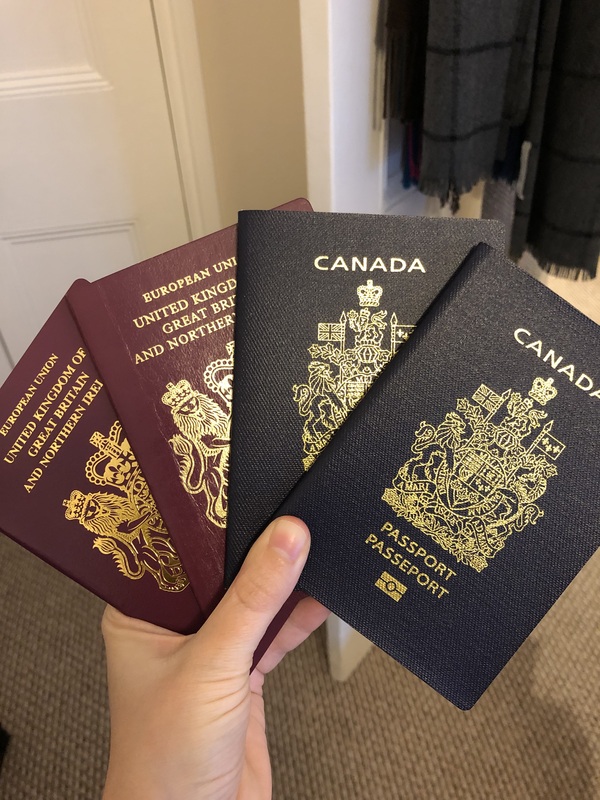 These differences are supported by genetic data. Therefore, we have attributed the new species thongareeae to a new genus Eudiscoderma. 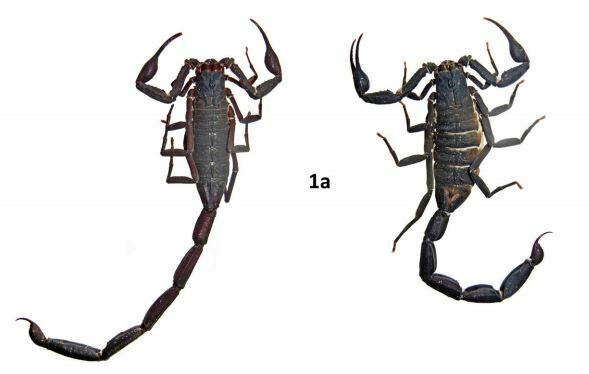 Hand (1995) suggested that where megadermatids live sympatrically over part of their range, they are either significantly different in size (Megaderma spasma v M. lyra) or represent two distinct lineages (L. frons v C. cor). She also suggested that the latter species in each of these pairs consumes significantly more vertebrate prey than the other. In the case of Eudiscoderma, it is both larger and phylogenetically distinct from M. spasma and may have a more specialised diet. M. spasma is known to eat large flying insects, such as grasshoppers, moths, bush-crickets, and beetles but not vertebrates (Bates & Harrison 1997). In contrast, Eudiscoderma has features, that appear highly developed for crushing hard prey. In the dentition, this includes the robust upper canines and, in the skull, the enlarged coronoid processes and well developed sagittal crest, both of which are indicative of strong musculature. 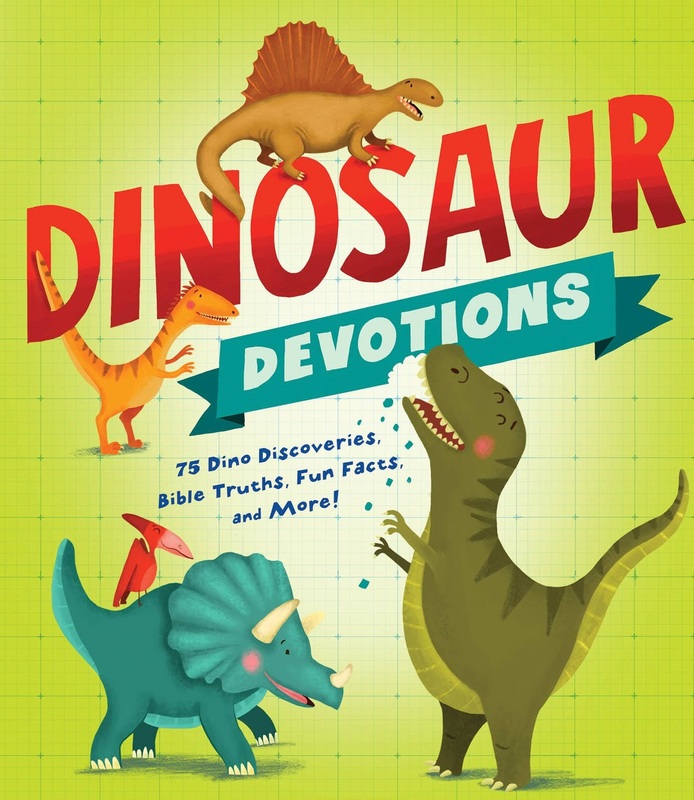 These adaptations sit well with information on the diet. E. thongareeae was observed catching and eating beetles, the carapaces of which are made from chitin, one of the hardest of natural materials. 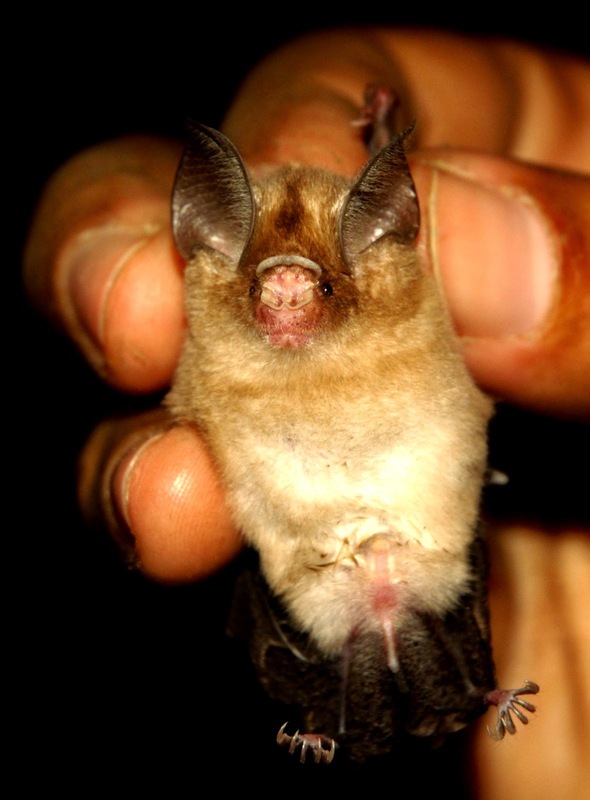 A new genus and new species of the Old World false vampire bat (family Megadermatidae) is described based on specimens from Halabala Wildlife Research Station, the southernmost forest complex in peninsular Thailand. The paper reporting this discovery is published in the latest issue of Zootaxa. 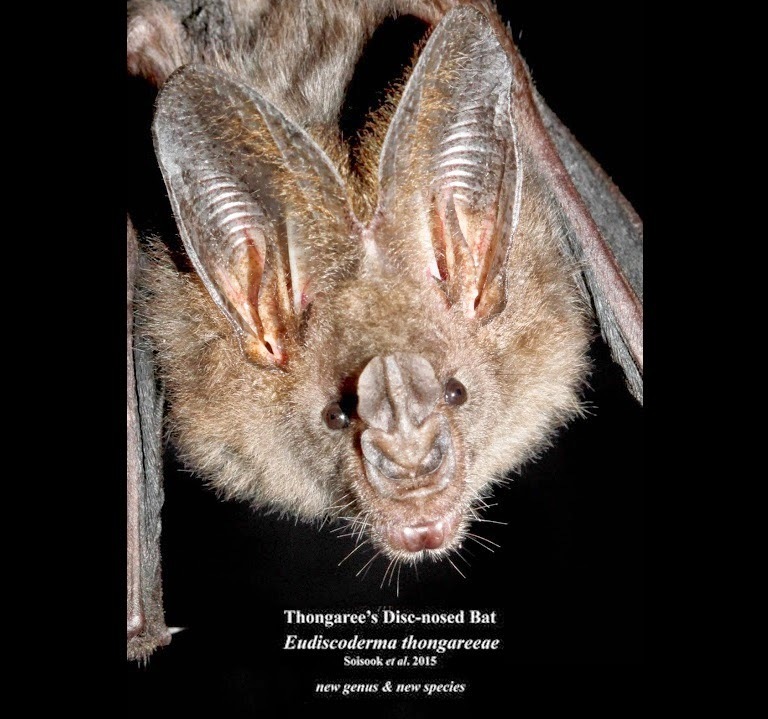 The new bat, with a scientific name Eudiscoderma thongareeae, is named to reflect its disc-shaped noseleaf and to honor Ms Siriporn Thongaree, former head of Halabala Wildlife Research Station. 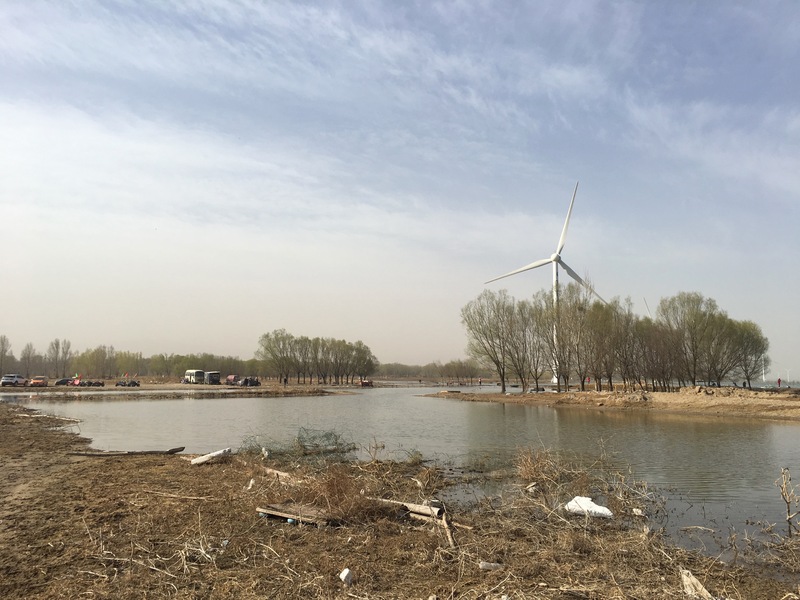 The species is believed to be very rare as it is known from only 3 specimens collected during the last 15 years from a very small area around the wildlife research station. 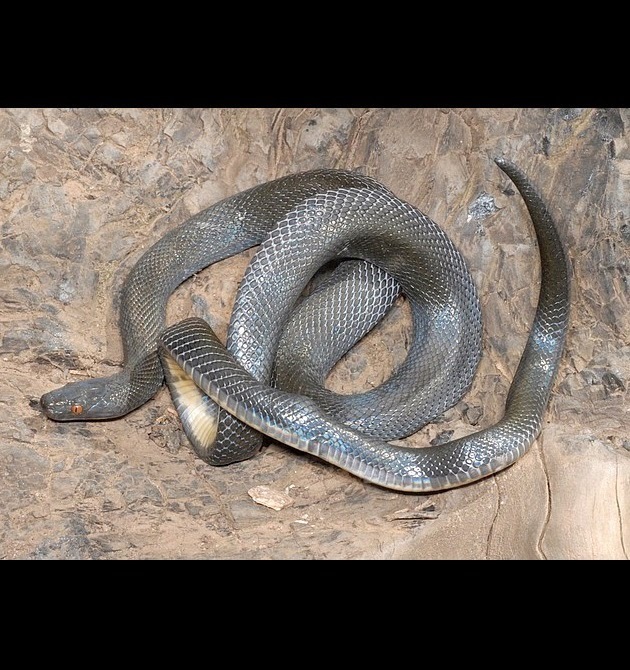 It was initially suspected to be just a new species of the well-known Megaderma which is the common genus in the area. However, after a comparison to specimens of other known genera of the family in natural history museums, it turns out that it cannot be assigned to any existing genera. 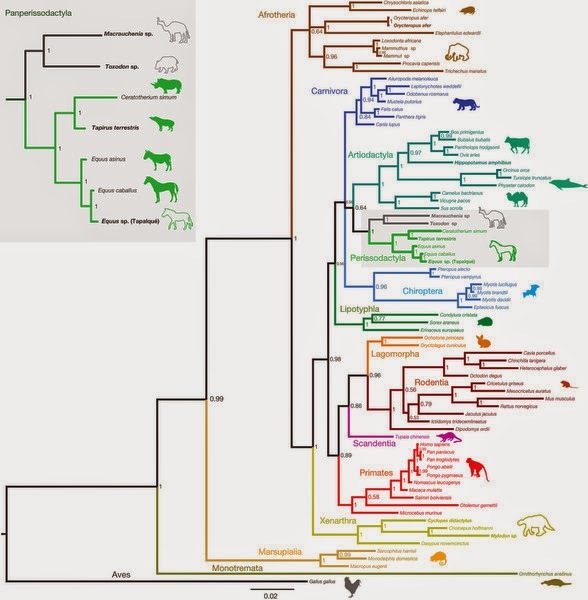 “It seems the new genus is the evolutionary link, as it shares characters with both Asian (Megaderma) and African (Lavia and Cardioderma) genera. 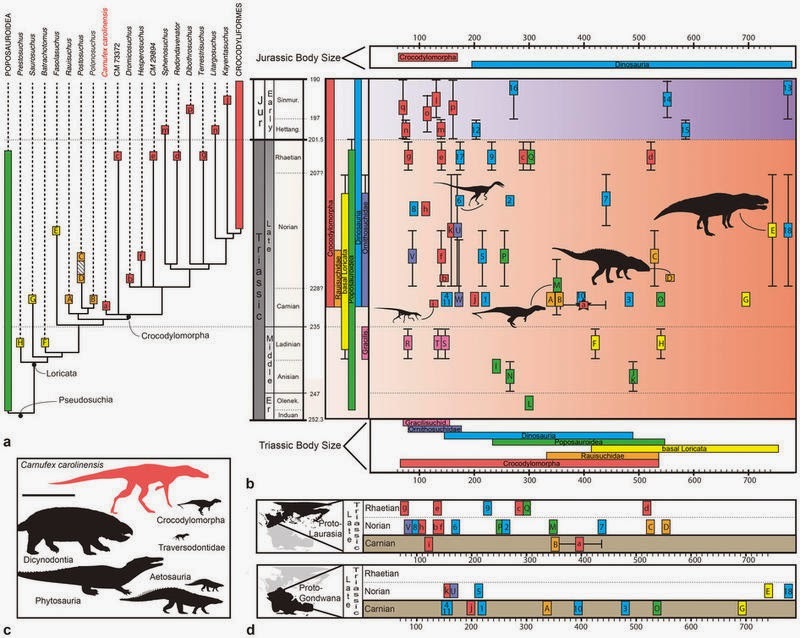 And we have a plan to continue studying more in details of the phylogeography of this interesting family. It is a very rare bat - but we believe that it is very likely to be found in peninsular Malaysia too” said Dr. Pipat Soisook, [PSUNHM], Prince of Songkla University, the senior author of the paper. Although there are groups of scientist have been working actively in Southeast Asia, the find of this new bat suggests that there are more species out there, particularly in forest habitats, in the region to be discovered. “This is a fantastic discovery. 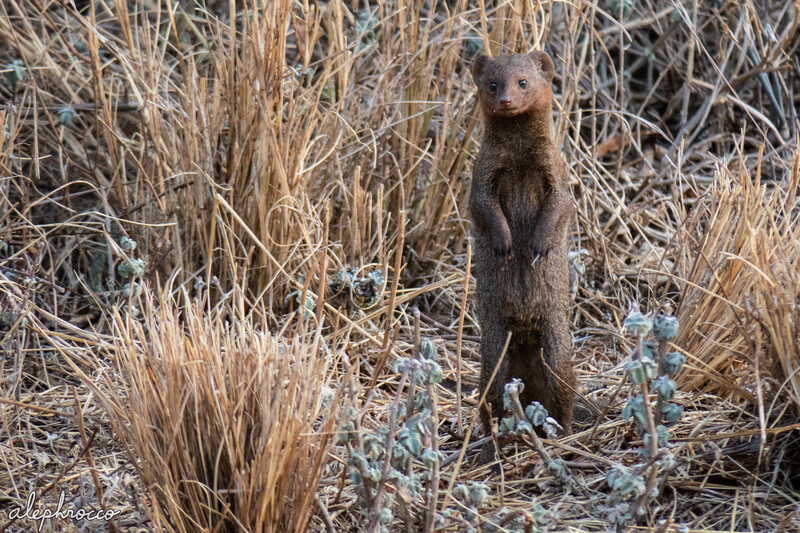 To find a new genus of mammal is extraordinarily rare. After over 250 years of research there are only 202 bat genera known worldwide and only 43 recorded from Thailand. 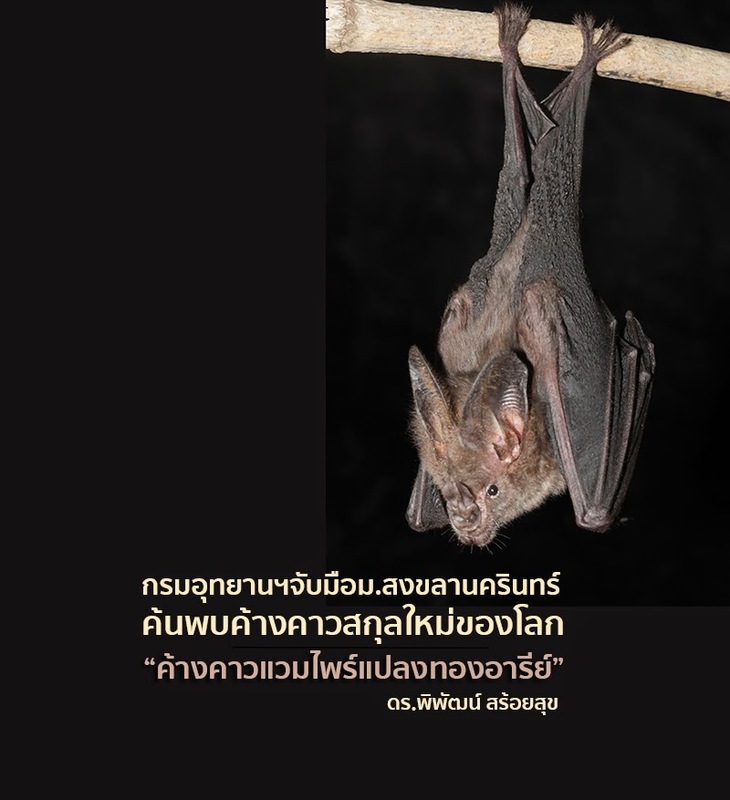 It represents Thailand's only endemic genus of bat and only its third endemic bat species. 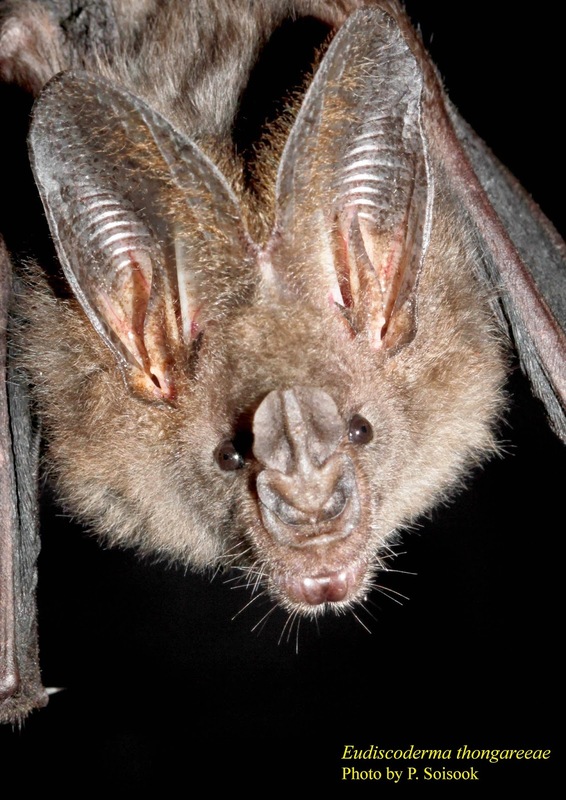 PSU team has done a brilliant piece of scientific detective work to discover and describe this fascinating new bat” said Dr. Paul Bates, Harrison Institute, a co-author of the paper. Endemic mammals of Thailand: Limestone Rat Niviventer hinpoon, a horseshoe bat Rhinolophus thailandensis, the Bala Tube-nosed Bat Murina balaensis, Williamson’s Mouse-deer Tragulus williamsoni. A genus of false vampire bat, Eudiscoderma thongareeae. The extinct Schomburgk's Deer Rucervus schomburgki. Two new species of Desmoxytes are described and abundantly illustrated: D. rhinoceros sp. n. and D. rhinoparva sp. n., from southern and northern Laos, respectively. Illustrated redescriptions of all four Vietnamese Desmoxytes species proposed by Carl Attems are also provided, based on type material. Likhitrakarn, Natdanai, Sergei I. Golovatch & Somsak Panha. 2015. 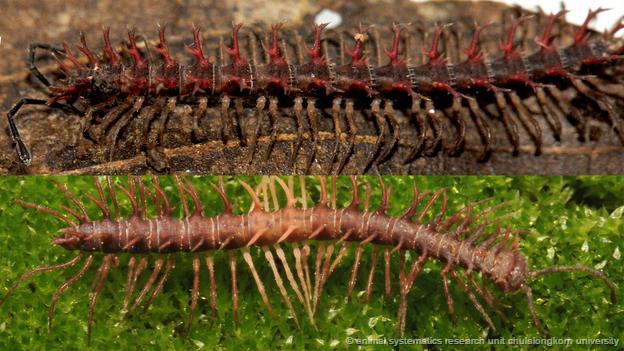 Two New Sspecies of Dragon Millipedes, Genus Desmoxytes Chamnerlin, 1923, from Laos (Diplopoda: Polydesmida: Paradoxosomatidae), with Redescriptions of All Four Species of Attems from Vietnam. Zootaxa. 3931(4): 483–504. Figure 2. 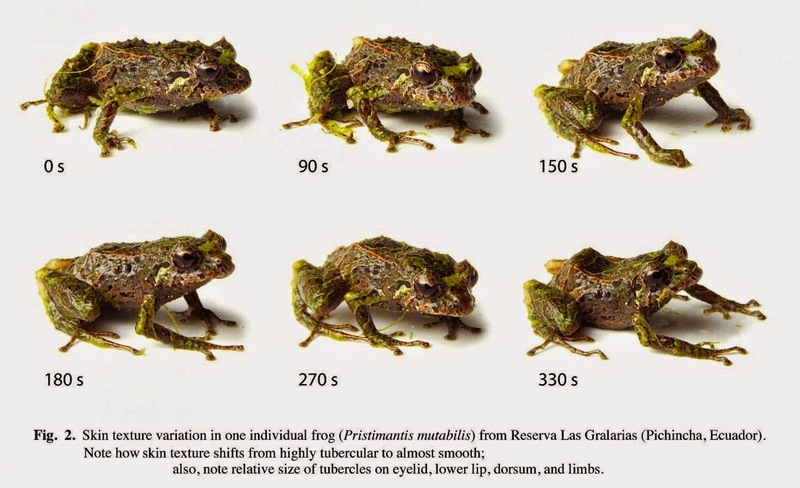 Skin texture variation in one individual frog (Pristimantis mutabilis) from Reserva Las Gralarias (Pichincha, Ecuador). Note that skin texture shifts from highly tubercular to almost smooth; also, note the relative size of tubercles on the eyelid, lower lip, and limbs. 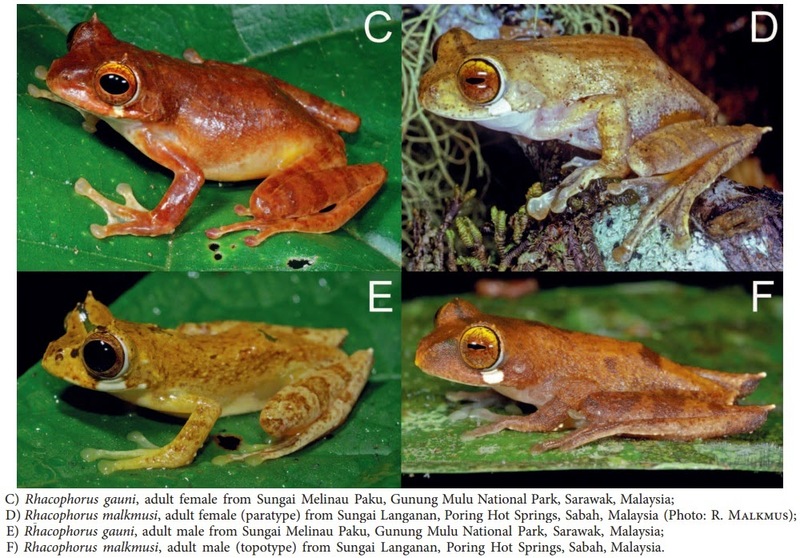 The frog was found on a leaf during the night (left photograph) and photographed in the laboratory (photograph with white background) the following morning. We describe a new frog, Pristimantis mutabilis sp. nov., from the Andes of Ecuador. Individuals of the new species are remarkable for their ability to change skin texture from tuberculate to almost smooth in a few minutes, being the first documented amphibian species to show such dramatic phenotypic plasticity. The new taxon is assigned to the P. myersi group. It differs from other members of its group by body size (adult males 17.2–17.4 mm; adult females 20.9–23.2 mm), arboreal habitat, and red flash coloration in females. We document three call types for the new species, which differ through their number of notes and amplitude peaks. The three types are pulsed calls that share a dominant frequency of 3186.9–3445.3 Hz. Surprisingly, we also document similar skin texture plasticity in species (P. sobetes) from a different species group, suggesting that this ability might be more common than previously thought. 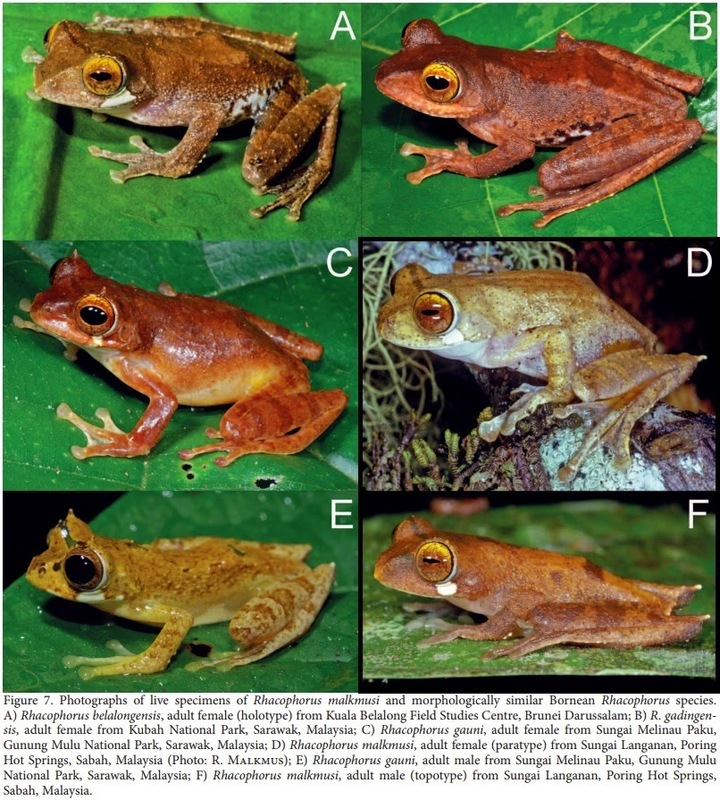 The discovery of these variable species poses challenges to amphibian taxonomists and field biologists, who have traditionally used skin texture and presence/absence of tubercles as important discrete traits in diagnosing and identifying species. Reciprocal monophyly and genetic distances also support the validity of the new species, as it has distances of 15.1–16.3% (12S) and 16.4–18.6% (16S) from the most similar species, Pristimantis verecundus. Additionally, each of the two known populations of Pristimantis mutabilis are reciprocally monophyletic and exhibit a high genetic distance between them (5.0–6.5%). This pattern is best explained by the presence of a dry valley (Guayllabamba River) that seems to be acting as a dispersal barrier. Figure 3. Pristimantis mutabilis sp. nov. in life. 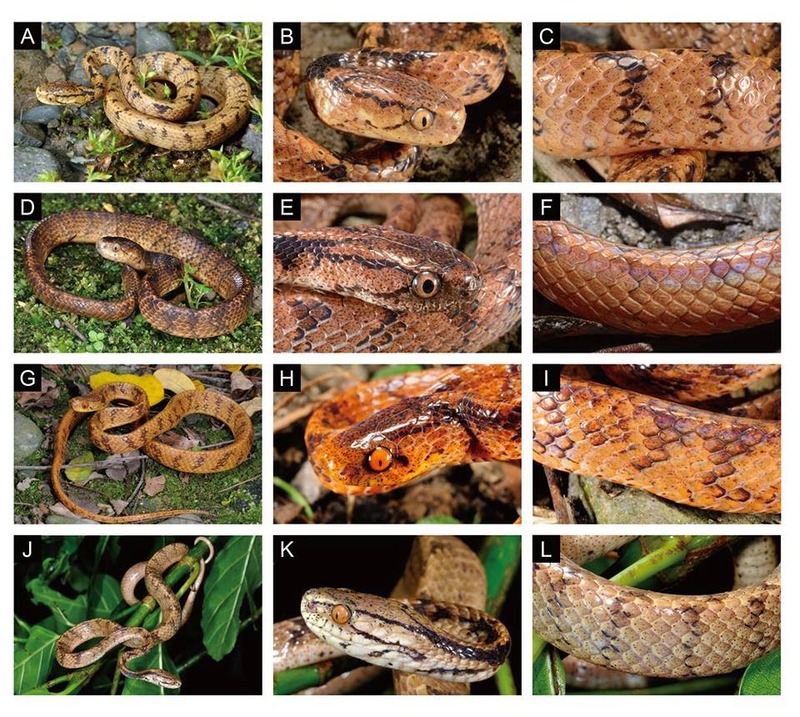 A, B, Sub-adult male, MZUTI 2191, photographed in its natural habitat during the night (top left) and under laboratory conditions during the day (top right). C, Adult female in dorsolateral view, MZUTI 910. D, Adult female in ventral view, MZUTI 911. Common English name: Mutable Rainfrog. Common Spanish name: Cutín Mutable. Juan M. Guayasamin, Tim Krynak, Katherine Krynak, Jaime Culebras and Carl R. Hutter. 2015. 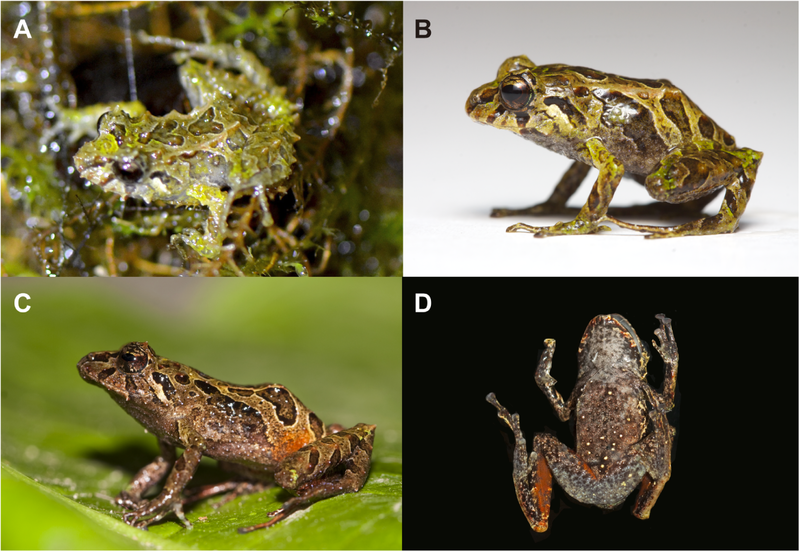 Phenotypic Plasticity raises Questions for Taxonomically Important Traits: A Remarkable New Andean Rainfrog (Pristimantis) with the Ability to Change Skin Texture. 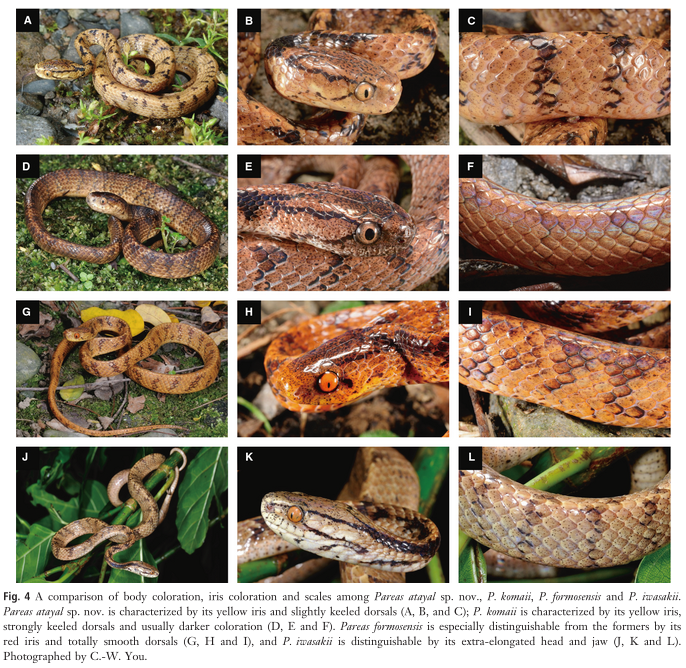 ป้ายกำกับ: 2015, Andes, Anura - Frog, Craugastoridae, Ecuador, Herpetology - Frog; Reptile Snake, Neotropical, Neotropical Amphibian, South America, Taxonomy, Zool. J. Linn. Soc. [lower left] Distribution map of Hipposideros durgadasi, showing known locality records (in yellow) from Madhya Pradesh and new records (in red) in Karnataka, India. Durga Das’s leaf-nosed bat Hipposideros durgadasi Khajuria, 1970 is endemic to India, and was known only from Katanga, Katangi, and Richhai villages, in Jabalpur district, Madhya Pradesh. 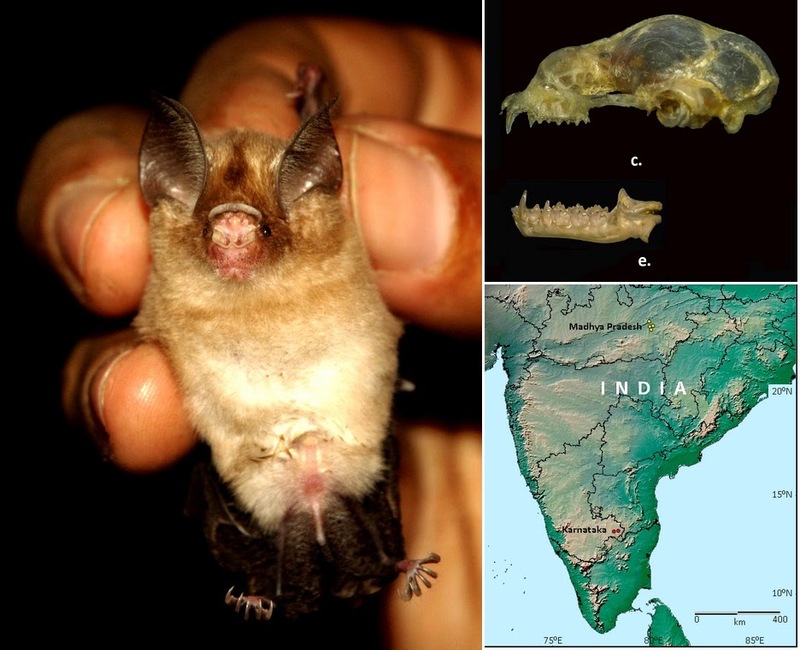 During surveys conducted in Kolar district, Karnataka, India, we successfully mist-netted a few individuals belonging to the bicolor species group which, upon detailed external, craniodental and bacular studies were identified as Durga Das’s leaf-nosed bat. This paper reports the presence of this species in southern India, extending its distribution range by almost 1300 km. We also provide a detailed morphological description for this species. 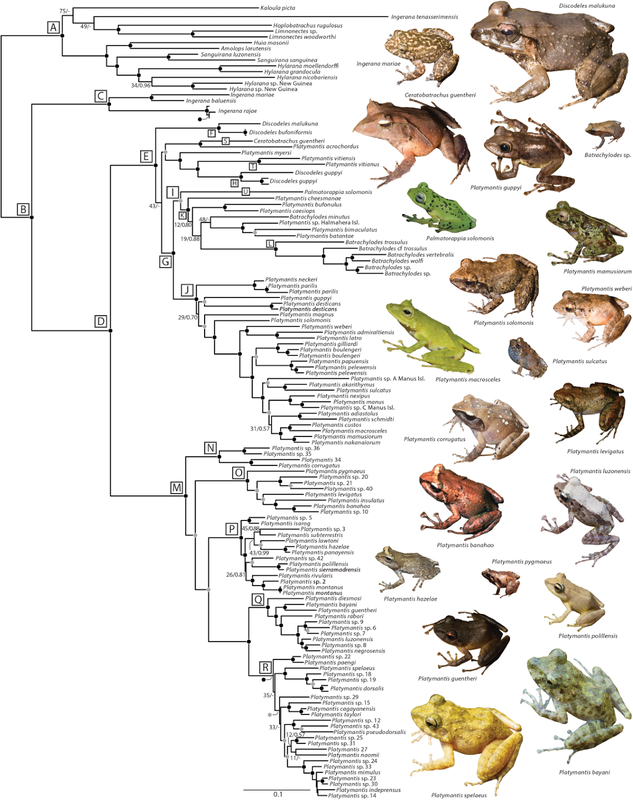 We provide a revision of microhylid treefrogs of the genus Cophyla, the type genus of the subfamily Cophylinae. A phylogeny inferred from DNA sequences of multiple mitochondrial and nuclear genes, with representatives of all cophyline genera except Madecassophryne and including representatives of the two most divergent intrageneric lineages within Cophyla, placed Cophyla as sister group of Platypelis and confirmed both genera as reciprocally monophyletic. 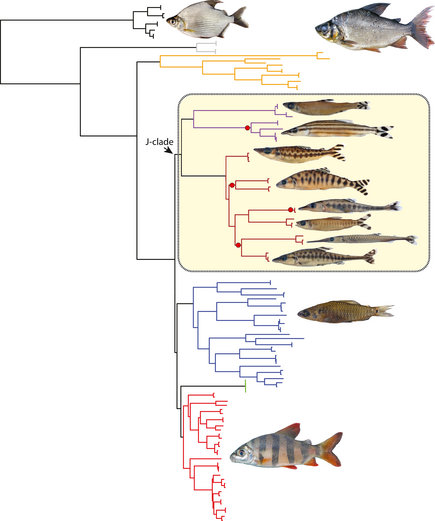 We describe three new Cophyla species based on osteological, morphological and bioacoustic characters as well as genetic differentiation in one nuclear and several mitochondrial markers. As in the vast majority of cophylines, all species of Cophyla emit long, stereotyped repetitions of a single tonal note, and we here consider one of these notes as a call; call duration thus equals note duration and the intervals between calls are named inter-call intervals. Cophyla maharipeo sp. nov. collected in Joffreville and Forêt d’Ambre Special Reserve (adult SVL 22–27 mm) is characterized by having long calls (1166–1346 ms) with long inter-call intervals (2154–3881 ms). Cophyla noromalalae sp. nov. collected in Montagne d’Ambre National Park (adult SVL 22–29 mm) is characterized by having short calls (662–821 ms) and short inter-call intervals (874–1882 ms). Cophyla puellarum sp. nov., also from Montagne d’Ambre National Park, is larger than the other two species (adult SVL 27.3–33.6 mm) and characterized by the shortest calls (326–390 ms) and long inter-call intervals (1961–3996 ms). Osteological analyses based on micro-CT scans and cleared and stained specimens confirms that the shape of the posterior vomer (centrally divided vs. undivided) may be a useful character to diagnose most species as belonging to either Platypelis and Cophyla, and suggest the absence of clavicles (present in Platypelis) is a derived character of most Cophyla. However, clavicles were present in C. puellarum, the only known Cophyla occurring at relatively high elevations (1250–1300 m a.s.l.) while otherwise in northern Madagascar, forests at higher elevations up to 2700 m a.s.l. are occupied by Platypelis species. 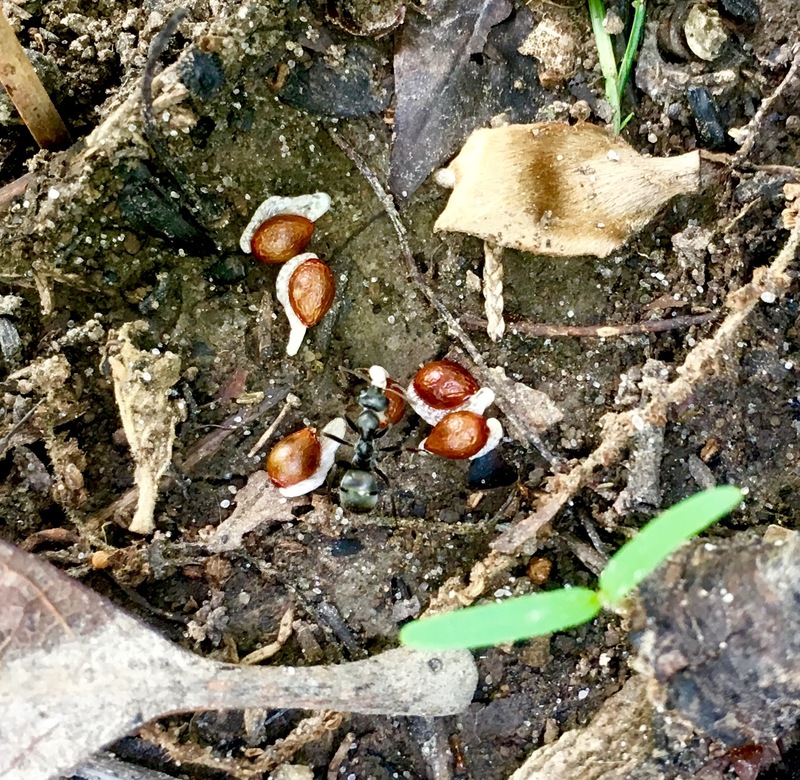 Cophyla maharipeo was found at relatively low elevations (630–720 m a.s.l. ), similar to the three previously known congeners (C. berara, C. occultans, C. phyllodactyla). Cophyla noromalalae occurs at intermediate elevations (900–1050 m a.s.l.). The molecular phylogeny inferred herein suggests that the ancestor of a clade containing all Cophyla species except C. puellarum evolved a modified shoulder girdle structure without ossified clavicles, and adapted to low-elevation habitats. Rakotoarison, Andolalao, Angelica Crottini, Johannes Müller, Mark-Oliver Rödel, Frank Glaw and Miguel Vences. 2015. 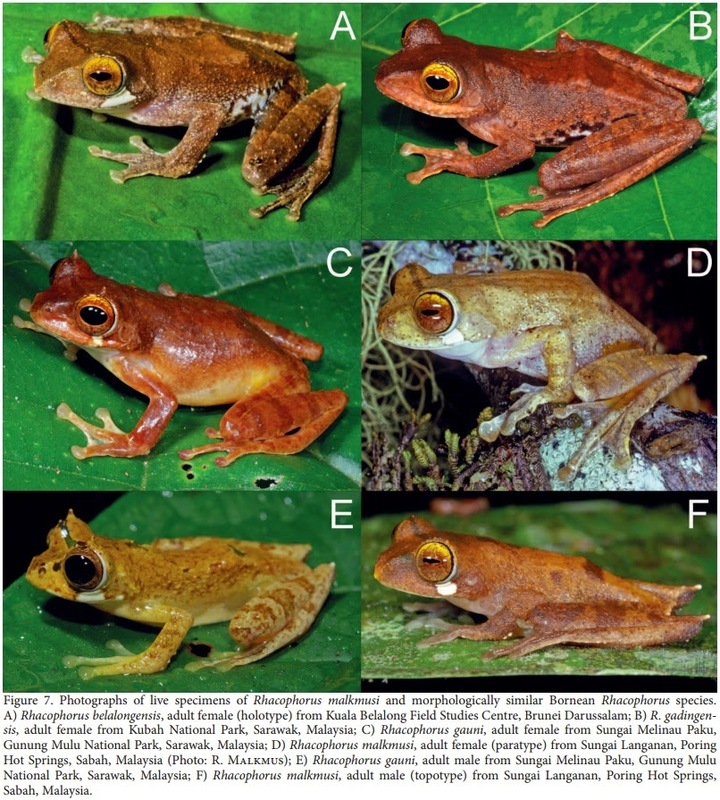 Revision and Phylogeny of Narrow-mouthed Treefrogs (Cophyla) from northern Madagascar: Integration of Molecular, Osteological, and Bioacoustic Data reveals Three New Species. Vences, M., Andreone, F. and Glaw, F. 2005. 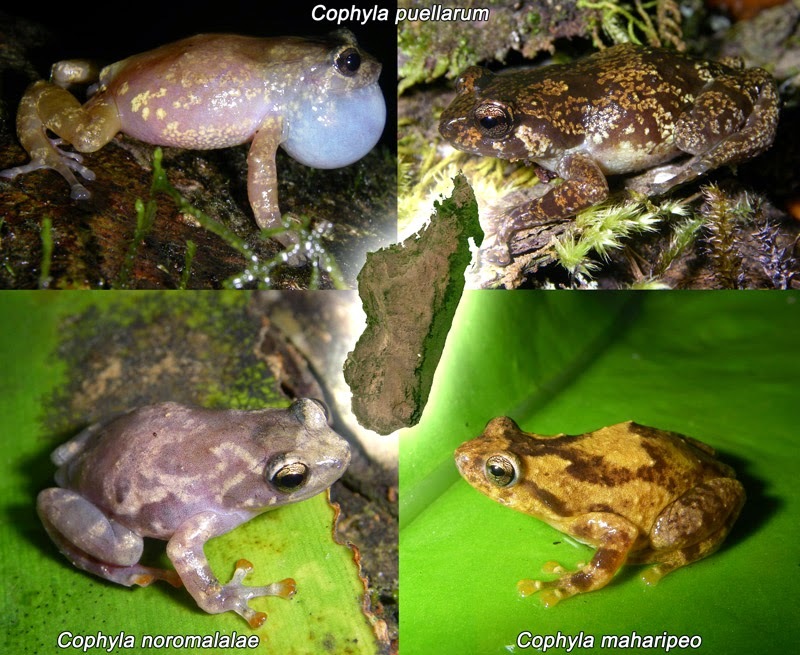 A new microhylid frog of the genus Cophyla from a transitional forest in northwestern Madagascar. African Zoology. 143-149. 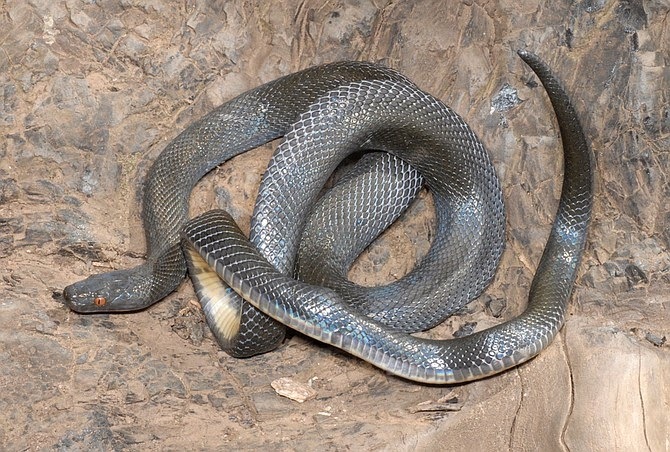 The Central African house snake Boaedon olivaceus has a large distribution from the forests of West Africa to Mabira Forest in Uganda. We sequenced two mitochondrial (cyt b and ND4) and two nuclear (c-mos and RAG1) genes from several populations of B. olivaceus in Central Africa and recovered two highly divergent lineages (Congo Basin and Albertine Rift) attributable to this species. 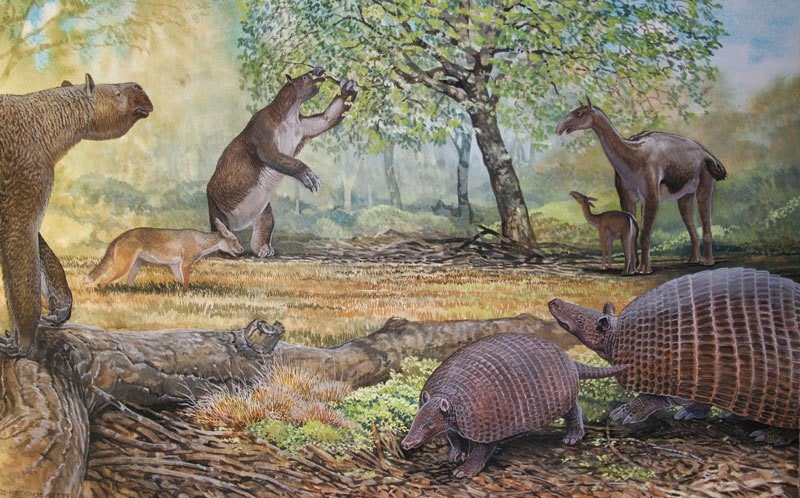 Dating analyses with BEAST suggest the two lineages last shared a common ancestor during the mid-Miocene approximately 12 million years ago, and data from RAG1 showed consistent differences in two amino acids for topotypic Congo Basin B. olivaceus compared to the Albertine Rift lineage and all other examined species of Boaedon. Based on these striking molecular differences and significant differences in ventral scale counts and the number of supralabials contacting the eye, we describe the Albertine Rift lineage as a new species. 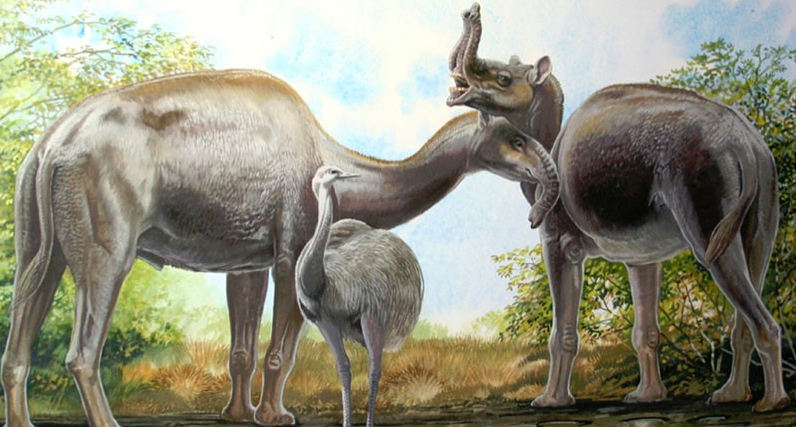 The recognition of this new species bolsters the importance of the Albertine Rift as an important region for endemism and conservation in continental Africa. Based on the results of our phylogenetic analyses, the poorly known taxon Lycodonomorphus subtaeniatus upembae is elevated to full species status and transferred to the genus Boaedon.